In a press conference held in Beijing on 7th February, five scenic areas in China were added to the nation’s AAAAA scenic spot list; among them is the Hainan Yanoda Rainforest Cultural Tourism Zone. AAAAA is the highest rating of China’s tourist destinations, an evaluation made by the National Tourism Administration based on services, popularity and the quality of cultural or natural heritage. 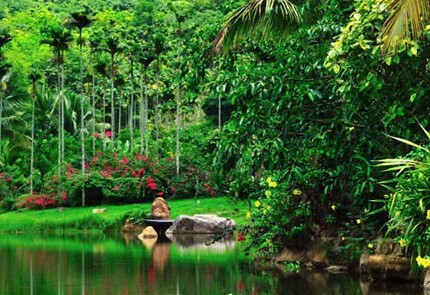 Hainan Yanoda Rainforest Cultural Tourism Zone, located 35km away from Sanya city, is famous for the unique rainforest at 18 degrees north latitude of China. It embodies all the five famous rain forests in Hainan province, enjoying a high reputation in China. Yanoda is the third AAAAA-level Scenic Spot in Hainan after Sanya Nanshan Cultural Tourism Zone and Sanya Nanshan Daxiao Dongtian Tourism Zone.